Enter the 7.62x40WT. Based off the 7.62x40mm wildcat, the 7.62x40WT is based off 5.56x45mm parent case trimmed to 1.560″ and then re-sized to accept 30-caliber bullets. With factory offering from 110-125 grains, this cartridge seems to be the perfect hunting upgrade for the AR enthusiast. The only part of a 7.62x40WT rifle that is different from a standard .223 AR is the barrel. That’s it. These all-new rifles utilize our in-house BILLet-AR receiver technology to build the next generation of lightweight but accurate and reliable semi-automatic rifles suitable for a variety of tactical and outdoor roles. 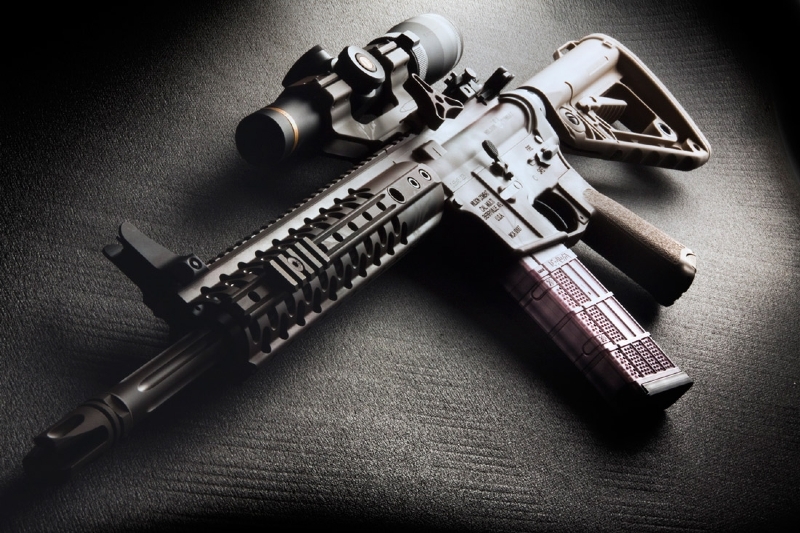 This rifle is further enhanced with our renowned custom features like precision machined Match Grade barrels, T.R.I.M hand guard rail and crisp Tactical Trigger Units. These .308 rifles raise the bar for .308 AR accuracy and reliability. Wilson Combat has a new drop-in AR trigger endorsed by Paul Howe. Designed by Bill Wilson and the Wilson Combat design team to be the base for the ultimate precision tactical AR-15 rifle, the BILLet-AR matched upper and lower receiver is 100% machined in our Berryville, AR facility. Wilson Combat will no longer provide any products or services to any State Government imposing legislation that infringes on the second amendment rights of its law abiding citizens. This includes any Law Enforcement Department, Law Enforcement Officers, or any State Government Entity or Employee of such an entity. This also applies to any local municipality imposing such infringements. Wilson Combat will in NO way support the government of these states or their anti-gun agenda that only limits the rights of law-abiding citizens. Wilson Combat will continue to supply any product and/or service they can legally sell in these states to all non-government affiliated citizens. New Jersey – -(Ammoland.com)- The newly emerged Firearms Equality Movement is gaining more steam among manufactures and gun rights supporters alike. The firearms industry, in reaction to the Governor of New York ramming through the NY SAFE Act which banned AR15 style rifles, has seen multiple manufactures revise their firearms sales polices to restrict LEO and Police Agencies from only buying the same level of firepower as is allowed for the average citizen of their state. Thereby helping to make the citizens equal to police and law enforcement agencies with in the same state, and, in some part, making rouge politicians accountable for their actions trying to disarm the people. It is important to note that the Movement is not asking industry to join a “conspiracy” but only to make their own sales policies support the right of the individual to keep and bear the same arms as all other classes of people in their respective states. The Firearms Movement is just that, a movement and not collusion, as some have suggested. In the end each and every company is free to do business as they wish. The List of Manufactures as complied by NC Gun Blog has continued to grow and at last count (2-27-2013) included the following. As of yet we have not seen the big four manufactures, Glock, Sig Saur, Smith & Wesson and Ruger, that supply the majority of police contracts, make the same policy changes but I am still hopeful that they will move to support their biggest customer of all, the American people. It is great to see manufactures banding together to protect the rights of their customers and hold politicians accountable for their acts disarming the American public. As this movement evolves I would like to see this become an unsaid blanket policy that apply to all states, especially New Jersey, Maryland, California and anywhere else where honest law abiding citizens right to keep and bear arms of equal fire power as the state the live in. After a tremendous amount of research and testing by Bill Wilson and the Wilson Combat team we are excited to announce the availability of our custom AR platform rifles chambered in 6.8 SPC caliber. The 6.8 SPC (6.8x43mm) was initially developed by MSG Steve Holland and Chris Murray a United States Army Marksmanship Unit gunsmith to offer superior downrange lethality over the 5.56 NATO/.223 Remington in an AR pattern service rifle with minimal loss of magazine capacity and a negligible increase in recoil. When built to the level of quality and precision Wilson Combat has achieved the 6.8 SPC is also capable of outstanding accuracy and reliability. In our match-grade, Spec II chambered 16” barrels, The 6.8 SPC is capable of pushing a .277 caliber, 85gr bullet to over 2900 FPS. 110gr bullets easily achieve 2500 FPS with factory loaded ammunition. Appropriate hand loading can achieve even higher velocities and enable the use of heavier projectiles up to 130 grains, which dramatically improves terminal ballistics over a 5.56 Nato/.223 Remington at long range. 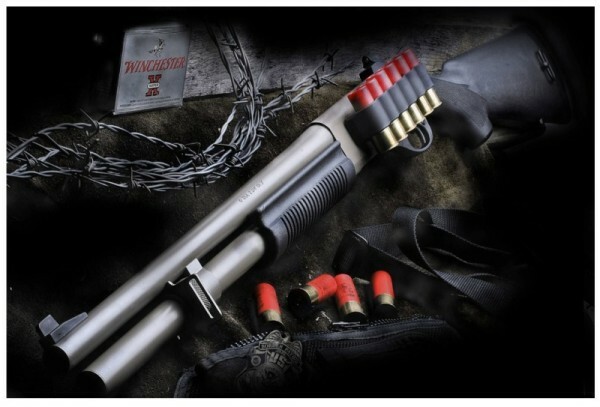 This added ballistic performance makes the 6.8 SPC perfect for home protection and SRT/SWAT teams. The 6.8 is a truly ideal hunting round for medium to heavy game and turns the AR into a serious hunting rifle.